Oxxxymiron lives between Russia and the UK, and tours all of Europe with concerts. Miron Fyodorov, 32, studied at Oxford, began composing rap in London, and now performs for huge crowds the world over. Miron Fyodorov, better known by his stage name Oxxxymiron, rarely gives interviews. "I dislike almost everything written about me," he tells RBTH uneasily. This reclusive nature is not hindering his growing popularity though: Posters advertising Oxxxymiron's concerts are all over the Internet and on the streets. He is known for stage antics that include an intense stare, defiantly flared nostrils, hard rhymes and - of course - for his formidable intellect. Young fans at crowded gigs recite his complex texts by heart as older listeners nod their heads approvingly. Oxxxymiron is proud of having been born in St. Petersburg; he sports the number 1703 tattooed on his neck, the year his native city was founded. While still a child, Miron and his parents moved to Germany. It was there, aged 12 or 13 that he started writing his first rap texts. The family then moved to the UK. Miron graduated from Oxford with a degree in medieval English literature. Later, in London's East End neighborhood of Canning Town - which is known for its underground rock scene - Miron's rapping alter ego Oxxxymiron was born. In parallel with pursuing his musical hobby the young MC was helping well-off expat compatriots in London settle various issues, including problems with the law. In 2015 his London life was dramatized in the Russian television series, "Londongrad". Miron wrote the theme song, which contains a line to the effect that he had been propelled “from the underground to TV screens”. “I find ways out, I solve problems / I may not be a romanticist, but if I decide to steal something / It will be nothing less than the Queen's diamond”. To a great extent Miron owes his fame to participating in U.S.-style 'Versus' rap duels which are staged in St. Petersburg clubs. Two MCs (rap performers) take turns trying to humiliate each other in the most ornate and convoluted way possible. The jury announces the winner after three rounds. YouTube videos of Miron's rap battle performances generate millions of views. The most popular one, which depicts his 2015 battle with MC Johnyboy, has been viewed nearly 33 million times. 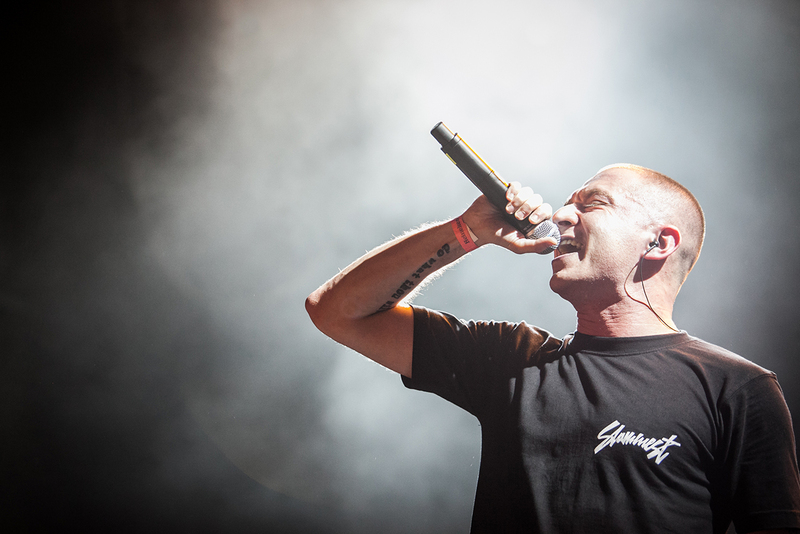 At present Oxxxymiron lives between Russia and the UK, and tours all of Europe with concerts (his 2016 tour took him to Germany, France, and Portugal, among other countries). He has released two albums. Miron's texts are not about street life, luxurious cars, diamonds and women; instead they represent a new, intellectual variety of rap. Oxxxymiron raps about spiritual poverty and existential emptiness, people's indifference to culture and the world around them, as well as about topics familiar to fans of Russian rap, such as rebellion against the authorities, criticism of corruption and excessive wealth. In City Under the Sole, for example, he says “by bringing the new generation to life we have achieved a change in the paradigm”. When Americans saw the video of the song they dubbed Miron the Russian Eminem. In a video that went viral on the Internet in 2016, a Russian schoolgirl read the text of Oxxxymiron's song Perepleteno (Entangled), allegedly misrepresenting it as having been written by prominent Russian poet Osip Mandelstam, and got the highest grade for her performance. As it transpired later, this was exactly what the class had been tasked with: Comparing classical and contemporary poetry. Miron's text, which includes the lines “Everything is entangled, there are countless threats, but / pull by a thread and you will get to the ball of it / Our world is a spindle, nothing is coincidental”, was found to contain allusions to Mandelstam's poem Silent Spindle. After that the media turned its attention to the artistic aspect of Miron's texts. Tests emerged on the Internet inviting users to guess whether certain texts had been written by the rapper himself or by poets of Russia's early 20th century Silver Age. Honesty, which is intrinsic to rap, appears to be guiding the musician through life: He does not get along with many prominent Russian rap singers. Miron refuses to adjust to showbiz canons, and speaks his mind frankly about the quality of their texts and music. His opponents respond in kind. Sometimes these conflicts spill over into social networks at other times they take the form of song lyrics. Miron says that one rapper, who describes himself as a Russian patriot, was offended by the text of one of his songs and demanded an apology at gunpoint. This does not stop Oxxxymiron from moving forward.